He is a really nice guy. He means well, even if he can’t always make the rarest items. Alchemy is hard. The Alchemist was a friendly NPC who resided in the Nexus. He was next to the Mystery Box shop, and above him was the Daily Quest portal which leads to The Tinkerer. You could use the Tokens which you get from completing quests from The Tinkerer or spend realm gold to get various items such as rings, skins, keys, weapons, and cloths. This feature has since been removed. 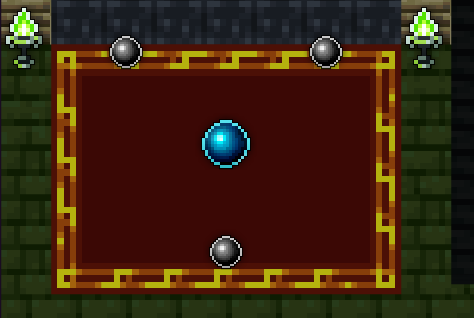 When you used a token, 3 items would be chosen randomly and would swirl around the main blue orb. You would then have 10 seconds to choose from 1 of the 3 orbs to receive an item, further, you can pay an extra fee for another chance at 1 of the remaining 2 items, although the choice of orb does not affect the outcome, as it is random. If you didn’t choose a orb before time was up, one would be automatically selected. Currently, The Alchemist has been removed from the nexus to avoid confusion and will not be brought back until further notice by DECA Games as they are trying to find out what to do with this feature. The rug was re-added to the Nexus in Patch X.27.0.0, but there have been no announcements as of Patch X.27.0.1 if it means the Alchemist is coming back. Dialogue could be occasionally heard from the Alchemist’s former carpet, and since was removed.